Taste test: Clean potato taste, a bit of salt, and a hint of slightly rancid grease in the back of the palate. 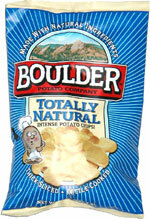 Natural chips have to be extra fresh to be extra good. Smell test: Potatoes, natural potatoes. Trivia: Chips from batch 7G106, dated April 27, 2001, eaten on Jan 20, 2001. 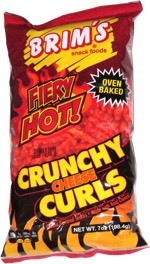 This snack was discovered by Mike, our Colorado bureau chief in Colorado. Review published .